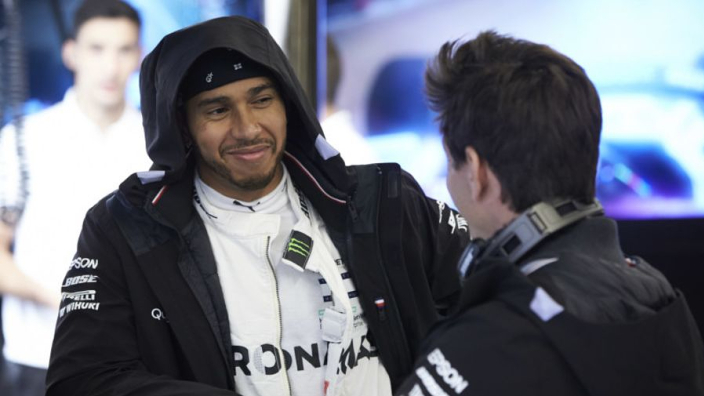 Mercedes team principal Toto Wolff has leaped to the defence of Lewis Hamilton after the Formula 1 champion faced an online backlash over comments made regarding visiting India for three grands prix between 2011-2013. Hamilton spoke of being conflicted while competing at the Buddh International Circuit, owing to poverty seen in the surrounding area. The five-time world champion suggested that he would be in favour of Liberty Media introducing more races in motorsport's European and American heartlands, on the back of an announcement that a Vietnam GP will join the calendar in 2020. While describing previous races in new countries, Hamilton told BBC Sport: "I've been to India before to a race which was strange because India was such a poor place yet we had this massive, beautiful grand prix track made in the middle of nowhere. I felt very conflicted when I went to that grand prix." Hamilton made his own explanation of his comments on social media and Wolff issued a statement via Mercedes' Twitter account to back his man. F1 raced in India three times – Sebastian Vettel and Red Bull winning each time before it was dropped following a tax dispute with local authorities.